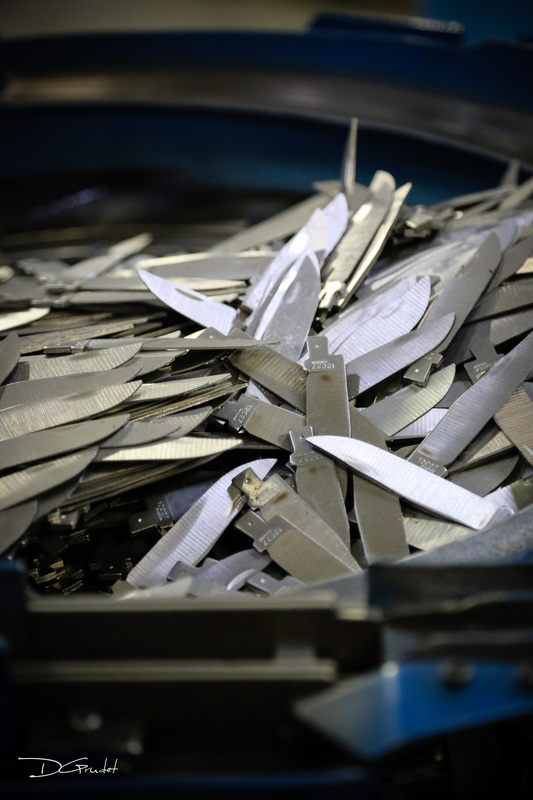 The first operation involves shaping the knife’s various components. The cutler does this using a hole puncher, referred to as a die in the cutlery industry. This operation is carried out manually by an operator who guides the steel strip as it passes through the machine. 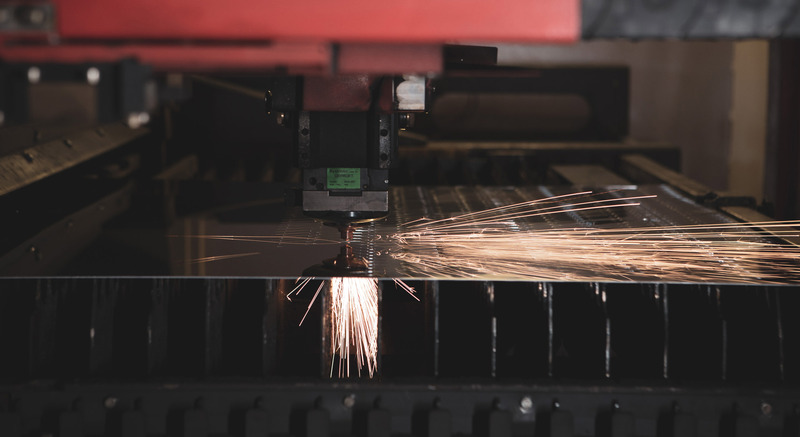 The cutting operation can also be carried out using a laser cutter, i.e. a computer-controlled machine that guides a laser beam. This beam provides highly accurate blade cutting. This is a very delicate step that requires careful, precise actions. 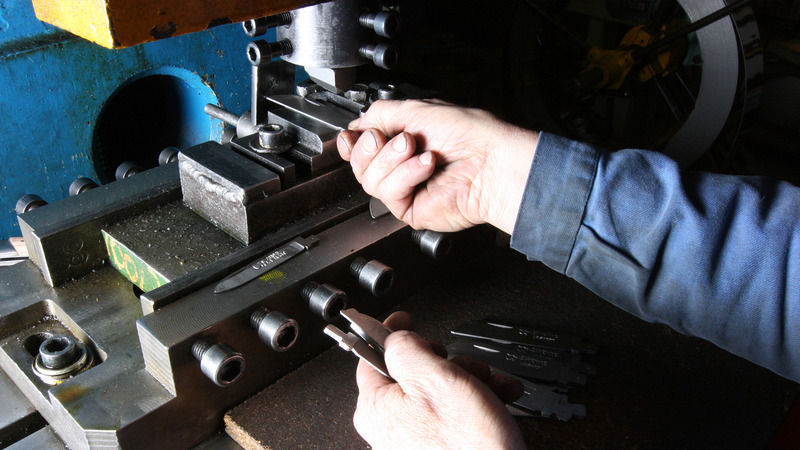 The operation consists in stamping the blade with an identifying hallmark. This step tempers the steel of the blade to achieve the required level of hardness. 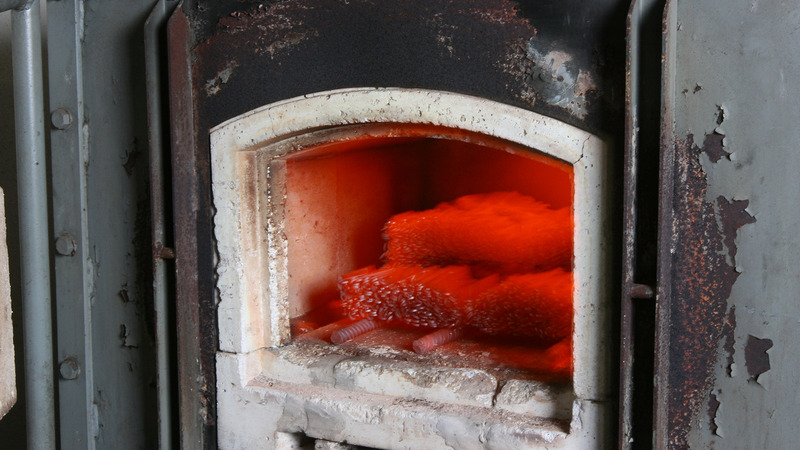 The heat treatment mainly consists in heating and then quenching the steel of the blade or spring to achieve the desired hardness rating. 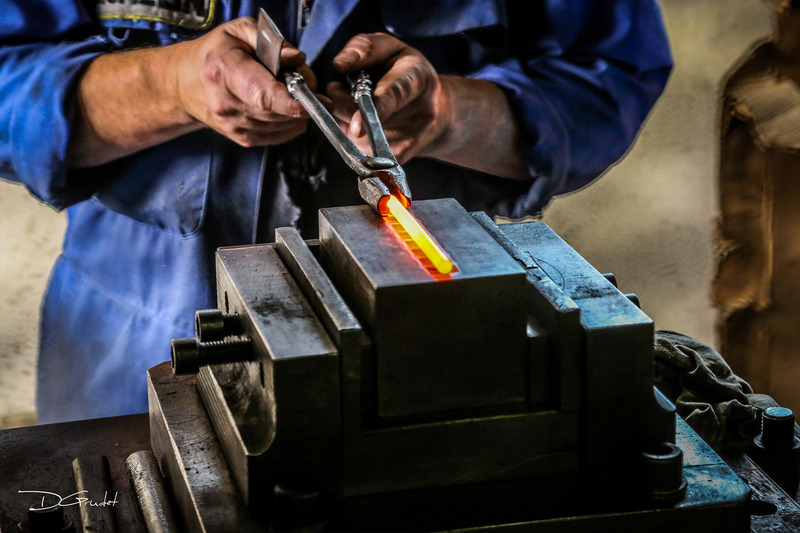 During the heat treatment, the steel blade may suffer slight deformation, which is corrected by straightening the blade using a hammer or a special dressing machine. 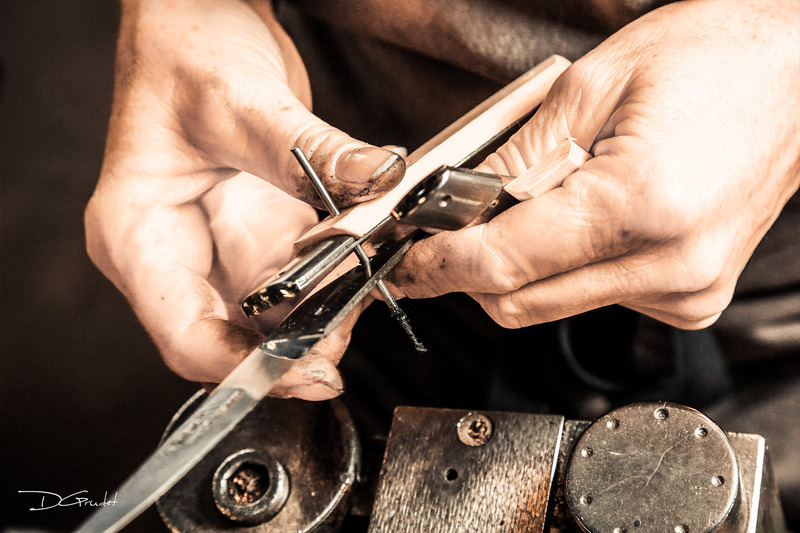 The blade is ground to give it the shape required to achieve its cutting edge. 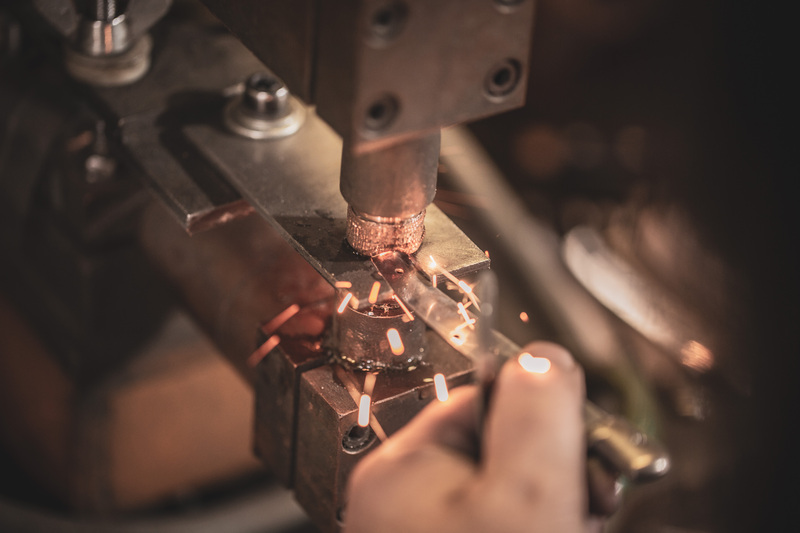 This operation is carried out in two stages: the first stage follows the cutting operation and is to thin the blade; the second stage comes after straightening, and provides the final bevel and refines the cutting edge. The cutler needs to use all their extensive experience to carry out this step. 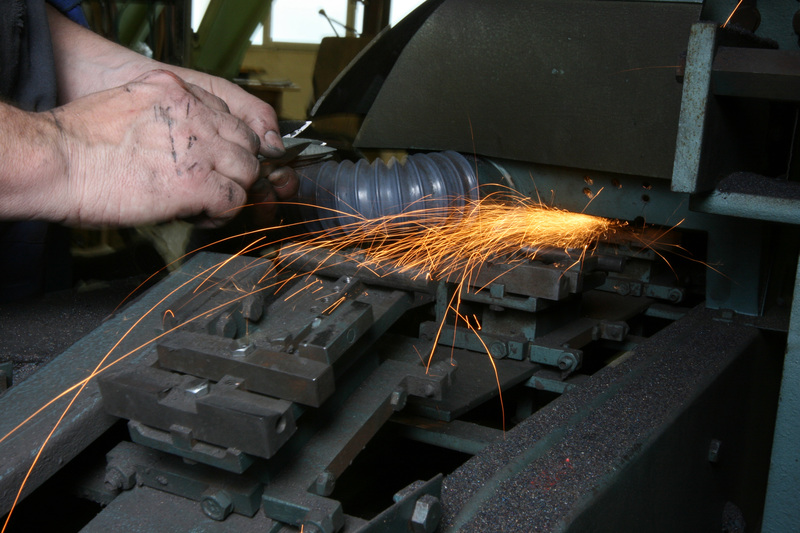 Formerly carried out using whetstones, nowadays blades are ground on special machines that require perfect control by the cutler. The back of the blade is polished using abrasive grains in order to remove any rough areas left by the cutting process. The size of the grains may vary from fine to coarse depending on the desired finish. The bolster is the metal piece that decorates the ends of the handle. Sections (known as blanks) are cut out of steel strips. These blanks are then hot-stamped in a press to obtain the bolster’s shape. Once this operation is complete, the bolster is trimmed. The plate is a stainless steel plate that forms the knife’s backbone and supports the handle, thus ensuring its strength and robustness. 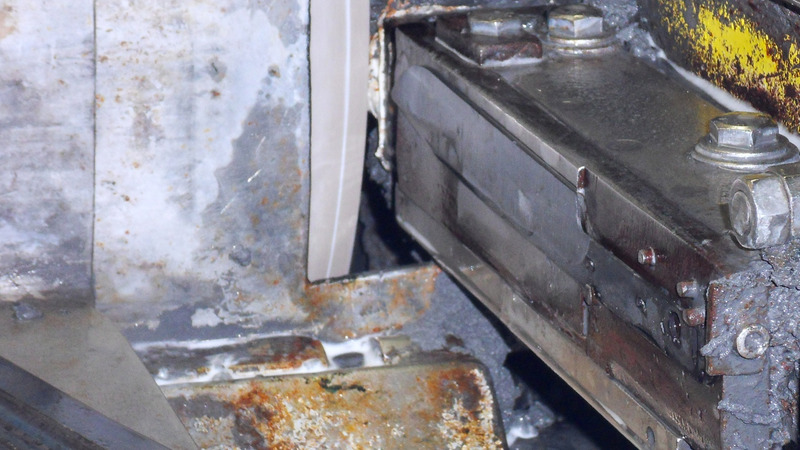 The bolster is electrically welded to the plate. Where a wood handle is required, timber logs are cut into sections. These sections are then machined to achieve the desired shape of the handle. 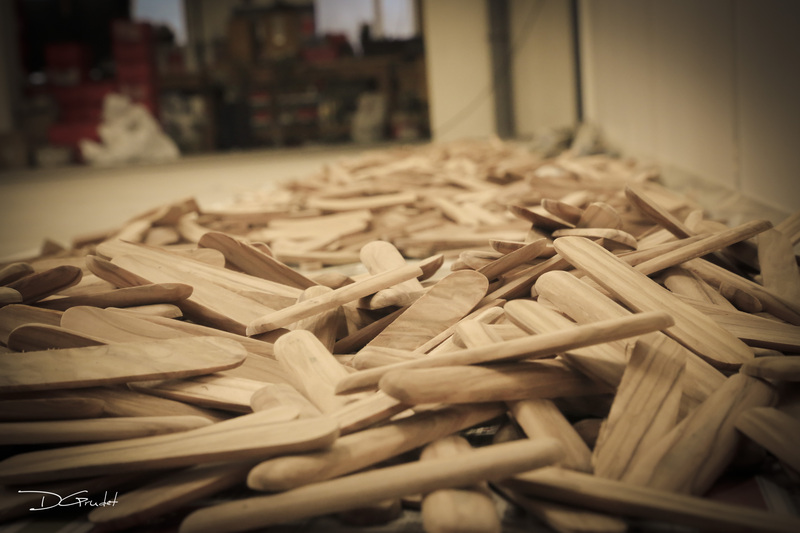 These operations are carried out after an approximate one-month drying period depending on the type of wood used. The spring is the central part of the handle that controls the blade’s opening and closing mechanism. Hand-chiselling involves decorating the back of the spring with sunken designs. Depending on the desired result, this operation is carried out using a file, or a whetstone or on a machine. Once all the components are completed, they can be assembled to form the knife. This is a fiddly, painstaking operation as the various parts have to be assembled and adjusted manually with the greatest care and precision. 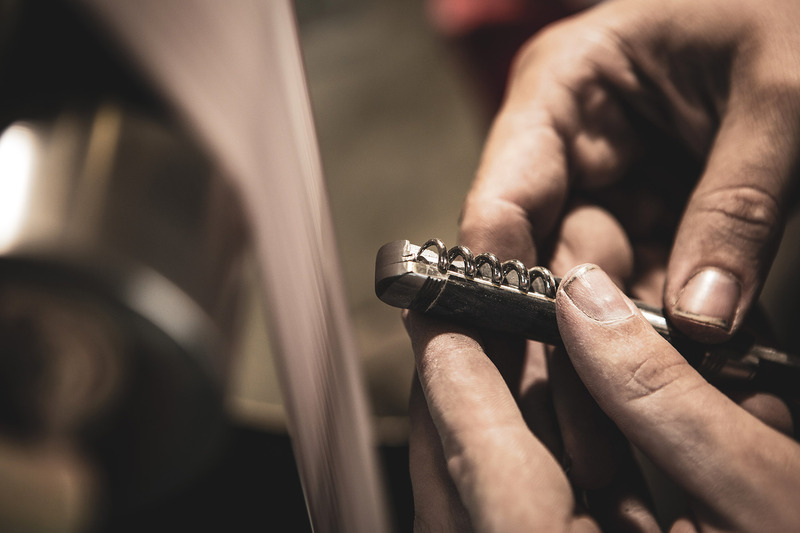 Adjusting the handles, drilling, assembling the sections on the plates… it can take an operator years to build up the experience necessary to achieving the perfect touch. 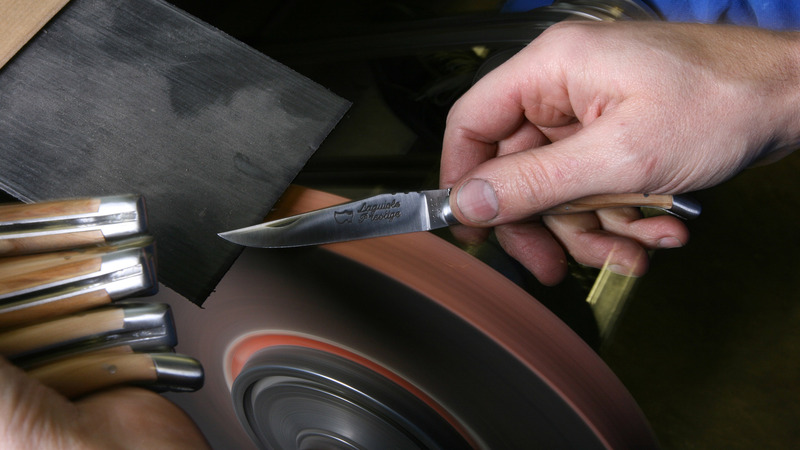 The knife’s blade is polished to obtain a perfect surface appearance, giving it a shiny satin finish. This step gives the knife its final appearance. The final operation is to sharpen the blade to give it its final cutting edge. 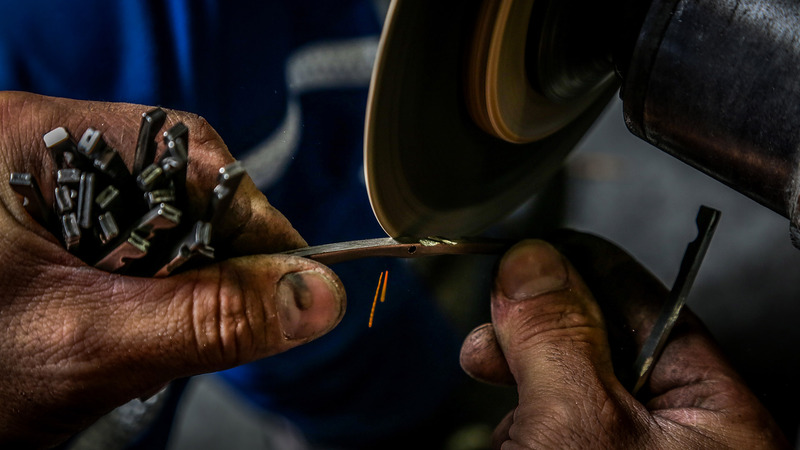 Even if the workshop now integrates modern-day machines, cutlers still make general use of traditional tools, such as whetstones.